Chicken soup can take many forms. Chicken noodle is probably the most common, though many prefer chicken & dumplings. I suppose you can also count wonton soup since it has a chicken broth base. You can get pretty creative with all sorts of spices and vegetables from around the world, too. One of my personal favorites, however, is still pretty simple. If you didn't grow up Jewish, you might not have heard of it, but I've never met anyone who has tried matzo ball soup and not liked it. It's a little hard to explain, but I can best summarize it as chicken broth (sometimes with vegetables and/or noodles) with giant fluffy balls of carbs. My family has been making this soup as long as I can remember. Both my mom and my grandma (and presumably generations further back than that) are practically matzo ball experts, and I've been making the recipe for a few years now as well. I make my own chicken stock/broth as well as the matzo balls, and it's an extremely comforting dish (even though it's starting to warm up). It's one of my favorite things to eat when I'm sick; there's a reason they call it Jewish penicillin. Another plus is that it's kosher for Passover. Passover is notoriously difficult in terms of dietary restrictions, but that doesn't mean you can't eat delicious foods, even dessert. Matzo ball soup is traditionally served at seders, but I like to eat it all week long. As I said, this recipe involves making your own stock. It's really pretty simple; it just takes a few hours to simmer. It's a little tricky to translate into an actual recipe since my family just kind of throws stuff in the pot, but I did my best. I place some bone-in, skin-on chicken breasts in a big pot along with some carrots, celery, onions, and a turnip. I highly recommend (read: you have to) using the bone-in skin-on breasts since they have so much more flavor than regular chicken cutlets and the whole point of making stock is to pull the flavor from the meat. I cover that all with some water, salt it generously, and let it simmer for a while. I add some of that neon yellow chicken bouillon powder/cubes to boost the chicken flavor. There are better ways to go about doing that (namely adding any leftover bones/carcass pieces you might have from cooking chicken earlier or if you bought a rotisserie chicken from the grocery store), but that's how my family does it so that's what I like to do. I taste it once it gets close to the end (around when I'm cooking the matzo balls) to see if it needs more salt or anything else. The matzo balls are pretty easy as well. I whisk eggs, water or seltzer, melted butter, and salt together. I then add some matzo meal and let it chill for about 15 minutes so I can form them into balls. I try to make about 10 balls that are a little smaller than golf balls (they expand a lot when they cook). Those boil in heavily salted water until they are cooked through. Ideally, you want your matzo balls to be floaters, not sinkers (referring to the fact that they will either sink or float in the water). Matzo balls that float are light and fluffy, unlike dense (but still delicious) sinkers. Using seltzer instead of water adds some extra carbonation to boost the fluffiness, so it's worth using if you already have some but definitely not necessary if you don't. Once everything is done cooking, it's almost ready to eat. The next step mostly depends on what your soup preferences are. I only like broth and matzo balls, so I just take a giant ladle to the broth and plop in a few matzo balls. Other members of my family like various combinations of chicken and vegetables, so all you have to do is shred the chicken breasts and slice up whatever vegetables you want. Add the matzo balls and you have your very own pick-me-up from Passover diet woes. Place the chicken, carrots, celery, onions, and turnip in a large pot. Cover with water, bring to a boil, reduce heat, and simmer for a few hours, adding salt and chicken bouillon to taste. Whisk the eggs, water, butter, and salt together. Fold in the matzo meal and chill in the refrigerator for 15 minutes. Bring a large pot of salted water to a boil. Roll the chilled matzo mixture into 10 balls and boil for 30-45 minutes or until cooked through. It's been a crazy week full of exams, lots of research, and a huge presentation for the American Association of Candy Technologists. All I want to do at this point is have an introvert recovery day with naps, Netflix, and lots of good food. 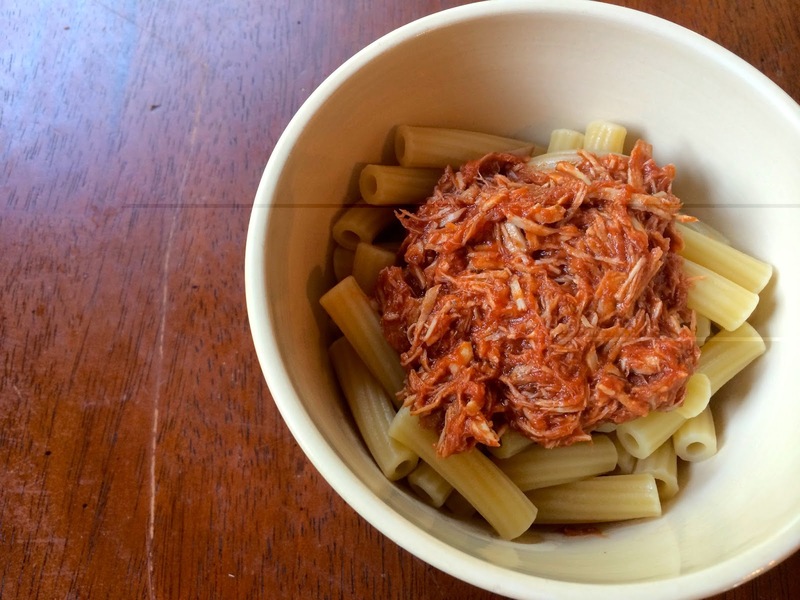 If I could have one dish, it would be this pork ragu. It's savory, hearty, and full of carbs, all of which sound amazing right now. This recipe does take a long time to make, but it is well worth it. It starts with about two pounds of pork roast, which I slice into 2" thick medallions to speed up the braising process. If you are willing to devote an entire day to this, get a three pound bone-in cut and leave it whole (bone-in meats have so much more flavor and tenderness). I, however, am willing to wait only so long to eat, so I try to cut time where I can. Whatever piece of meat you choose, make sure you sear it until it's thoroughly browned. You can't replicate the flavor of properly browned meat, and it adds to the overall complexity of the sauce. Once the pork is seared, I remove it from the pot. There should be plenty of pork fat left in the pan, and it would be a sin to let that go to waste. One of my favorite uses is for cooking vegetables. Coincidentally, this sauce involves some onions and garlic. It's crazy how that worked out. Anyway, I cook them in the pork fat until they are tender and fragrant and then add some crushed tomatoes, red wine, chicken broth, and herbs. I always prefer San Marzano tomatoes, but if you only want to splurge occasionally this is not the time. The flavor of San Marzanos are highlighted in dishes where it can really stand out, namely simpler recipes like pasta all'amatriciana (which is a wonderful dish if you don't have too much time). Here, the tomatoes are going to be cooked for hours with a bunch of other ingredients, so you won't be able to taste as much of a difference between regular canned tomatoes and San Marzanos. The pork goes back into the pot after the sauce ingredients are added. I try to reduce clean up time, so I love when I can stick with just one pot. That means planning strategically, since you want one that is wide enough to sear the pork in only one or two batches, deep enough to hold everything without overflowing, and small enough that the pork is covered completely while braising. Admittedly, that's a little tricky, but the cleanup time is worth it. Hopefully your pork is covered by the braising liquid even if that means using two pots because otherwise you have to baby it for two or three hours. The whole point of braising is to cook the meat in a liquid until it's incredibly tender (you can do this in the oven or on the stove). If your meat isn't covered, you have to flip the pieces fairly frequently so they cook evenly. This may take a little longer, too, since not everything is immersed for the whole time. The cooking time is more of a recommendation anyway; it's done when you can shred it with a fork. You can keep cooking it beyond that because it will only get more tender (up to a certain point), but just be careful that the sauce is still liquid enough. If you go past the three hours, make sure you keep an eye on the liquid levels and add chicken stock accordingly. When you find you can shred the pork easily with a fork, remove the meat from the pot with some tongs or a slotted spoon and set it aside until it's cool enough to handle. You might want to enlist some helpers for the next part, since shredding two pounds of meat can get dull pretty quickly. I've heard of people dumping it in a stand mixer and running it with a paddle attachment on low speed until it's broken up into bite-sized pieces, but I'm too much of a perfectionist to do it any way other than by hand. 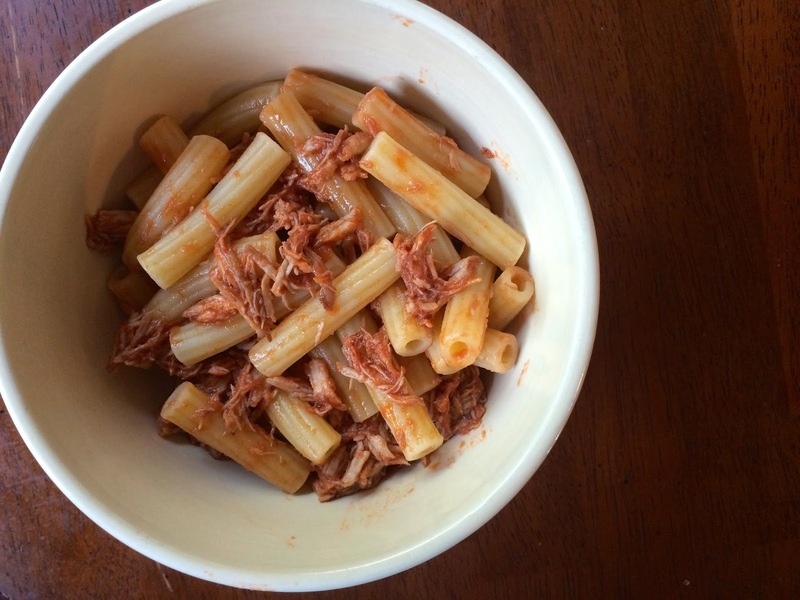 Once it's finally shredded, I return the meat to the pot and let it cook for just a little bit while the pasta cooks. There is definitely an art to choosing the right pasta. Different shapes pair well with different sauces, so here I go with some large penne or ziti, preferably with ridges. The meat sticks to (or inside) the tubes, and the ridges catch more of the braising liquid/sauce. Of course, all pasta is good, but larger tubes are best here. Make sure you cook it in liberally salted water until just al dente and toss it with the ragu before serving. Parmesan cheese is a welcome addition at this point as well. If you decide to make this dish, please please comment below and send me pictures so I can live vicariously through your cooking adventures and ignore my umpteenth meal at the dining hall. Season the pork with salt and pepper and cut into 2" thick medallions. Heat some oil in a large pot. Add the pork and sear on all sides until browned. Remove from the pot. Cook the onion and the garlic in the pot for 2 minutes or until tender and fragrant. Stir in the tomatoes, wine, chicken broth, thyme, oregano, rosemary, garlic powder, and onion powder. Bring to a simmer and add the pork. Cover the pot, reduce the heat to low, and braise for 2-3 hours or until tender, adding more liquid as necessary. Shred the pork and toss in the braising liquid. Bring a large pot of salted water to a boil and cook the pasta. Toss the pasta with the ragu. St. Patrick's Day is huge up in the Midwest. Chicago dyes the river green, there are parades everywhere, and Madison parties (well, more than usual). But you can only drink so much beer and eat so much soda bread before you need to eat some real food. That's where this beef and beer chili comes in. I suppose this is a Texan-Irish fusion dish since it's essentially spicy Texas beanless chili with a hearty splash of beer. It all starts with the aromatics: onion, garlic, and jalapeno. It's just a stew, so you don't need to make all the cuts perfect and pretty, but how you cut them is how you eat them, so try to avoid large chunks of anything (especially the jalapeno!). If you like things a little spicier, you can add more jalapeno or swap it for a hotter pepper, though you will be adding cayenne, chili powder, and hot sauce later on. Actually, later on is pretty soon. Once the aromatics are tender and fragrant, it's time to stir in all the spices. It may seem like you're overseasoning, but this makes a nice big pot of chili, so you need a lot of spice. I add cayenne, chili powder, paprika, garlic powder, onion powder, cumin, and ample salt and pepper. The ground beef goes in at about the same time as the spices. The fat content isn't a huge deal here, though I recommend staying between 80 and 90 percent lean here for maximum flavor. If you go with a leaner cut, it won't be quite as tender or flavorful, and if you go with a fattier cut, you miss out on some of the meat. The goal when cooking it is just to brown it to start developing the flavor without cooking it all the way through since it still has to cook for another 30 minutes or so and you don't want it to get tough. Once the beef is browned, I stir in some tomato paste, which deepens the flavor, especially if you add it this early in the process and it has time to brown a little bit. Now it's time for the beer. You want to add it early enough for all the flavors to combine and for some of the alcohol to cook off but not too late that you can't taste it. I'm not a beer connoisseur, but you want to use something with a fairly strong flavor without any particularly bitter or odd notes. Now is not the time to try that cool new flavored beer. You may notice that, despite the addition of beer, the chili still doesn't have too much liquid. Sadly, the answer is not to add more beer (though you could add a little more if you so desire, but that means there's less for you to drink). I add a can of diced tomatoes, which have a fair amount of liquid in the can, along with some beef broth. Lastly, there's the hot sauce, which can add that extra kick if you didn't add enough jalapenos or cayenne earlier. In my opinion, it's much tastier to add a splash of hot sauce than to throw in a few spoonfuls of diced raw jalapeño. All that goodness simmers together for only 20 minutes or so. I like to serve mine with some shredded cheese (cheddar or some sort of jack would work well), scallions (for color), and a big hunk of soda bread (for St. Patrick's Day). This recipe is quick and easy, which makes it perfect for St. Patrick's celebrations or just a cozy weeknight meal. Heat some oil in a large pot. Saute the onions until almost tender, about 4 minutes, then stir in the garlic and jalapeño. Cook until fragrant, about 2 minutes. Stir in the ground beef and cook for 4 minutes or until almost browned, seasoning with the cayenne, chili powder, paprika, cumin, garlic powder, onion powder, and salt and pepper. Stir in the tomato paste and cook for 2 minutes. Add the beer and cook for 3 minutes. Stir in the tomatoes, beef broth, and hot sauce and simmer for 20 minutes. One of the things I didn't realize I would miss about eating at home is the fresh bread. It's pretty hard to convince my friends to go to a restaurant nice enough to serve bread with the meal (someone please tell Five Guys to start), and dining hall bread just won't cut it. It's been hard enough publishing all these chili recipes without being able to eat them for a few weeks, but what I really want is something to sop it up with. 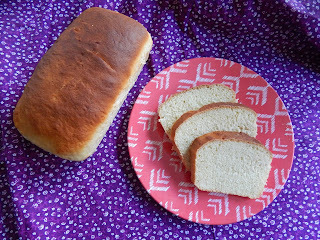 This yeast bread is a little bit sweet and a little bit dense, which makes it perfect for soaking up the last bits of savory, spicy chili. 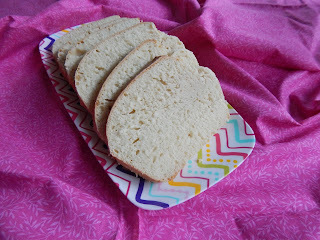 Like many breads, this one is pretty simple; it only has 6 ingredients (5 if you don't count the salt). Perhaps the most important is the yeast. It's in the name, after all. You need to activate the yeast in some warm water for about 5 minutes. The little pellet-like things in the packet are actually live organisms. They are dormant and need to become active again to make the bread rise. I add a little bit of sugar to the warm water to help start the process, which is essentially the yeast consuming the sugar and producing carbon dioxide and alcohols. The release of carbon dioxide is what makes bread rise. It's not too hard, just make sure you don't kill the yeast with water that's too hot (it should feel a little bit warm when you pour it in). The only other way to kill the yeast is by pouring salt on them, which is why you have to be careful with this next step. 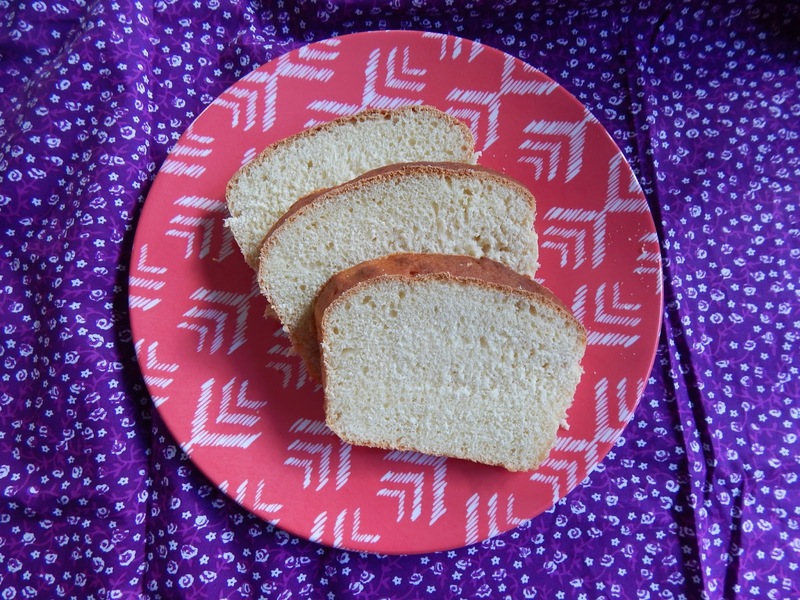 It's really pretty simple since all you do is add butter, sugar, eggs, and salt, but add the salt last and avoid pouring it directly onto the yeast. Once it's in the dough it's not concentrated enough to harm the yeast. I'll stop talking about the yeast now. 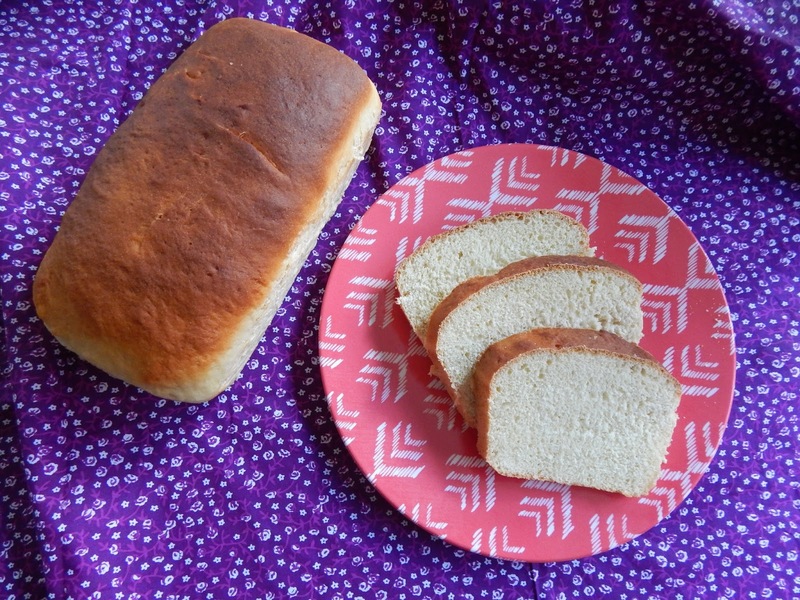 This is a fairly cakey bread (I wouldn't use it for sandwiches), so there's plenty of butter, eggs, and sugar. However, it's still bread, so bread flour is definitely recommended. It has a higher gluten content, making the dough more elastic and providing the bread with more structure. Honestly, you use enough of it in this recipe to justify buying at least a small bag. If you still don't want to buy it, all-purpose flour will work, but it will just be a little more cakey and a little less bready. Once all the ingredients are mixed together, it has to proof (rise) twice, preferably in a warm, draft-free area: once in the bowl and once as loaves. After that, it bakes pretty quickly, and you'll have warm, fresh bread. I'm so jealous. Dissolve the yeast in 2 cups warm water. Let stand for a few minutes, then whisk in the sugar, butter, salt, and eggs. Stir in 4 cups flour. Gradually add the remaining flour to form a soft dough. Flip the dough onto a floured surface. 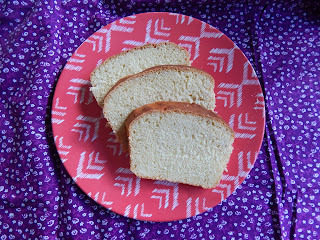 Knead until smooth and elastic, 6-8 minutes. Place in a greased bowl, cover, and let rise until doubled, about an hour. Punch down the dough. Split into two pieces and shape each into a loaf. Place each in a greased loaf pan. Cover and let rise until doubled, about an hour. Heat oven to 350F. Bake for 25-30 minutes or until golden.